From Earth To Plate: Wholefood Kitchen, How? Many people want to start eating clean & have a wholefood kitchen but get overwhelmed with how, where & what they need to do to get the transition happening. Let me tell you it is easy, easy, easy & below are some steps to starting your wholefood kitchen. I remember when I was a youngster, my grandma & great aunt whom were from Sri Lanka would flavor everything with fresh ground spices, herbs/chili from the gardens & fresh coconuts, the reason I mention this is because they were taught this simplistic way of eating by there grandparents, this was when society had the perfect balance with food & life where these simple skills were handed down by the parents & grandparents of the family. BPA free containers & Jars will be all you now need for your pantry as packaged goods are no longer needed. Unless you need the staples like myself & have a can of Organic Chickpeas or some Kelp Noodles on hand. A Vitamix Blender will be your kitchens best friend when it comes to making nourishing green super smoothies, soups, almond milk or simply just to food process. A slow compress juicer for all your juicing needs. A food processor for making all those yummy raw treats or just simply to mix up some homemade dips like Hummus. A good cook book for wholefoods is essential, some authors like Gabriel Cousens, David Wolfe have written some great wholefood/raw books & a great book for kids wholefood recipes is called Wholefoods for kids. 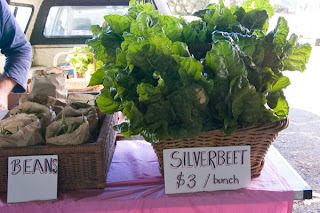 Local farmers markets/organic market's are great because you are getting fresh local produce & supporting your community. 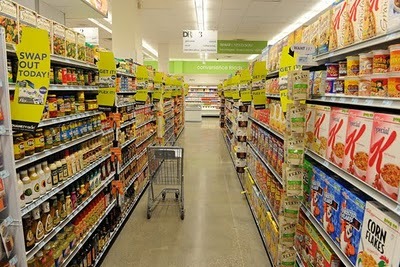 Organic Grocers like Flannerys if your in Australia & Wholefoods if you are in the USA are great because they stock a wide range of Organic produce, Natural body care products & everything you will need for clean living within your home. Bulk food grocery stores are great because they generally will have everything you need to fill those jars up I mentioned earlier. Bulk food stores have all produce in big containers & you can self serve either straight into your jars/containers or bags they supply. This is great because you are not paying for packaging or marketing like you would in the grocers & the produce is always cheaper. Mmmm just think of all those yummy Goji Berries. Its a common quote on peoples lips that there is nothing to eat if the pantry is not full of every packaged, ready to eat snack, whole meal or Sauce/dressing. This is where society has lost its connection with food, life & the basic fundamentals of how to simply cook. I know I say this all the time but honestly LESS IS MORE PEOPLE! Spices are now all you need for flavoring your foods. Spice kits are very inexpensive & generally have whats best to use them for on the jar. Spices like Cinnamon & Turmeric are great for their high antioxidant components & Turmeric is actually an anti inflammatory . Many spices are used for medicinal purposes & also evoke the senses. Fresh Ginger, Garlic, Chili, Raw Honey, Agave, cold pressed olive oil, apple cider vinegar, Lemons & Limes are all great to have on hand for seasoning. Fresh Herbs will be your best friend in the kitchen when it comes to flavoring your dishes. Having a herb garden or even just a couple of small pots in the kitchen window like some parsley, basil & oregano. If you have any questions on the above & are feeling a little stuck with how to swap a packaged food for a wholefood please feel free to email me or leave a comment on the above article. I will be posting a recipe for a raw salad dressing to get you all started.